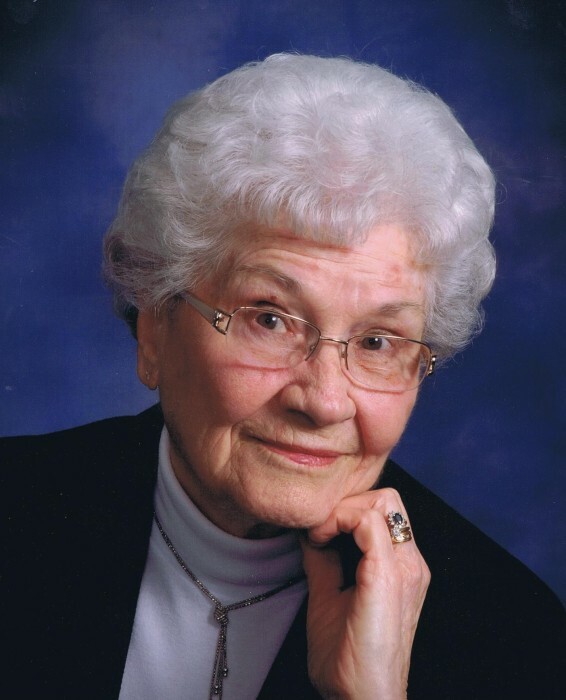 Funeral services for Kathryn I. Johnson will be held at 11:00AM Tuesday, January 22, 2019 at The Price - McElroy Funeral Home in Kenton with David Holbrook officiating. Burial will follow in Fairview McDonald Cemetery. Friends may visit from 3:00PM till 7:00PM on Monday, January 21, 2019 at the funeral home. She died on January 16, 2019 at Hardin Hills Health Center. She was born on March 29, 1924 in Hardin County to the late Frank and Pearl (Bagley) Cozad. On August 16, 1941 she married Frank E. Black Jr and he preceded her in death on September 13, 1988. Then on September 21, 1991 she married Jack Johnson and he also preceded her in death on July 31, 2008. Surviving are a daughter; Carol (Arthur) Miller of Alger and a son; Ron (Becky) Black of Kenton. 4 Grandchildren; Beth (Ray) Hopkins of Kenton, Kristie (Marcus) Lyons of Alger, Judi Schinness of Kenton and Jerry Black of Kenton. 9 Great Grandchildren; Tyson and Cailyn Hopkins, Ian, Erin and Morgan Lyons, Hannah and Samantha Blue, Tanner Schinness and Gracie Black. Several nieces and nephews. She was preceded in death by 4 sisters; Almeda Furr, Ethel Holcomb, Nellie Waddle and Jane Huff. 3 brothers; Jack, Charles and Franklin (Bud) Cozad. Kathryn worked at San Antonio Hospital, Hardin Co Home and retired from Hardin Memorial Hospital where she worked as an aid. She was a member of the McGuffey Church of Christ. She loved to cook, especially for her grandchildren and great grandchildren. Memorial donations may be made to McGuffey Church of Christ P.O. Box 303 McGuffey, Ohio 45859, Not by Choice 3 N. Detroit St Kenton or to the Angels of the Elderly.